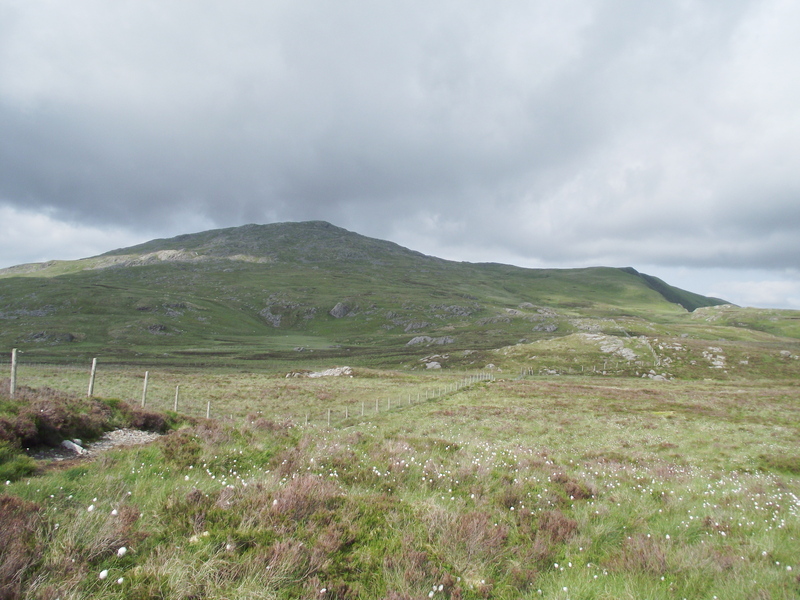 So, where are these Aran Hills then? I Have to confess that for years I didn’t have a clue where they were, and I didn’t get round to tracking them down until a year or two ago. 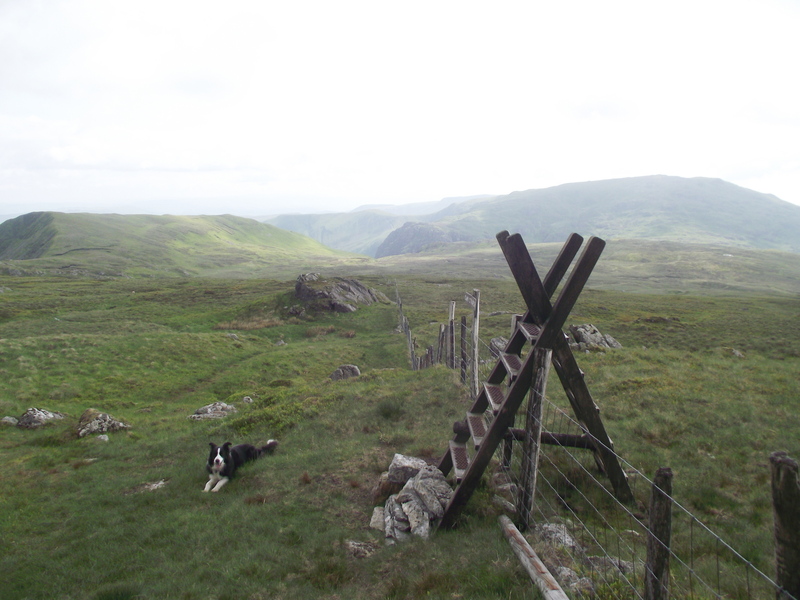 It was only in the last month that I actually got my boots on the ground, and discovered yet another hidden corner of Wales, ignored by many. 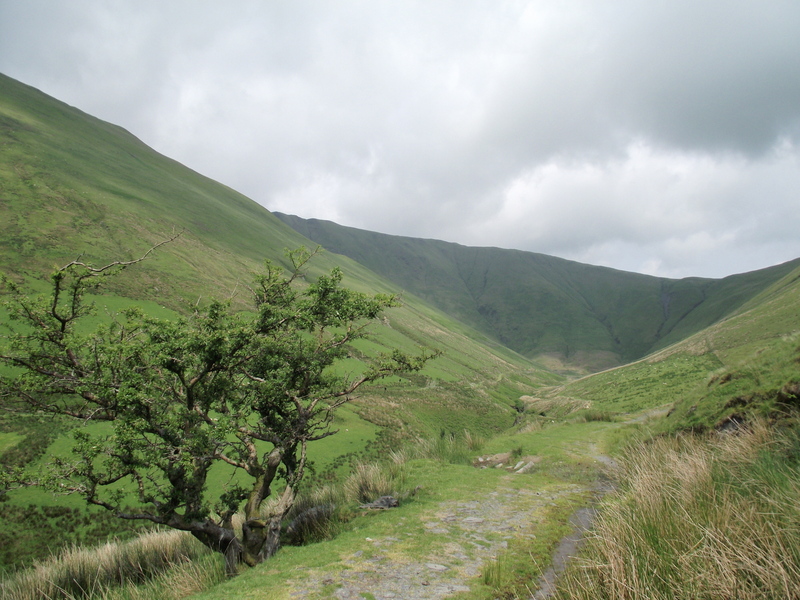 Heading towards the plateau …. 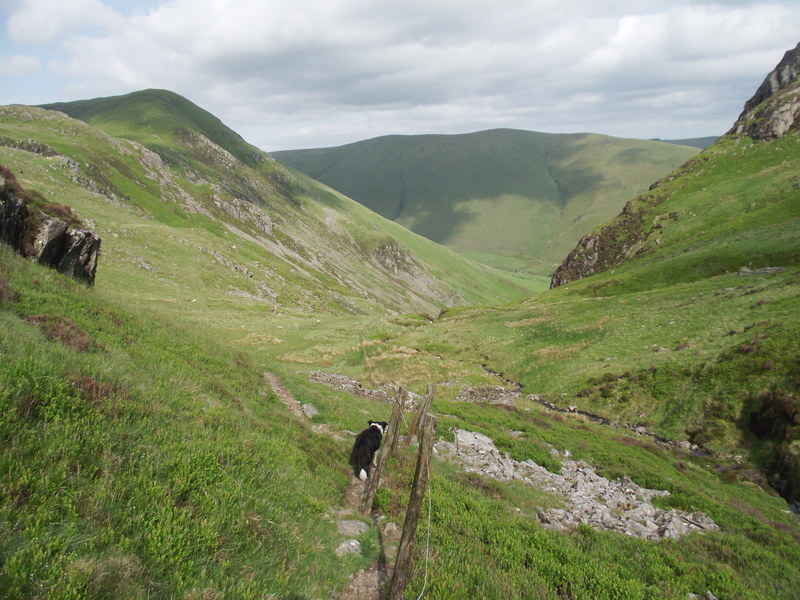 The day had started with a dental appointment for Chris – following the fun and excitement of that, she had decided against a hill day, but Border Collie ‘Mist’ was happy to make up the numbers. 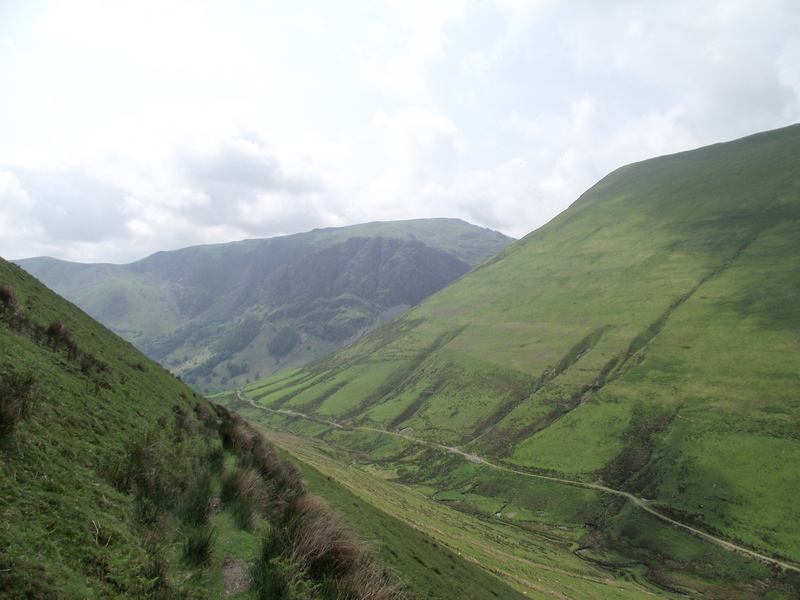 I started up a gradually rising path heading for a big grassy plateau below Drysgol, with great views back towards Craig Cywarch and the upper part of Cwm Cywarch. 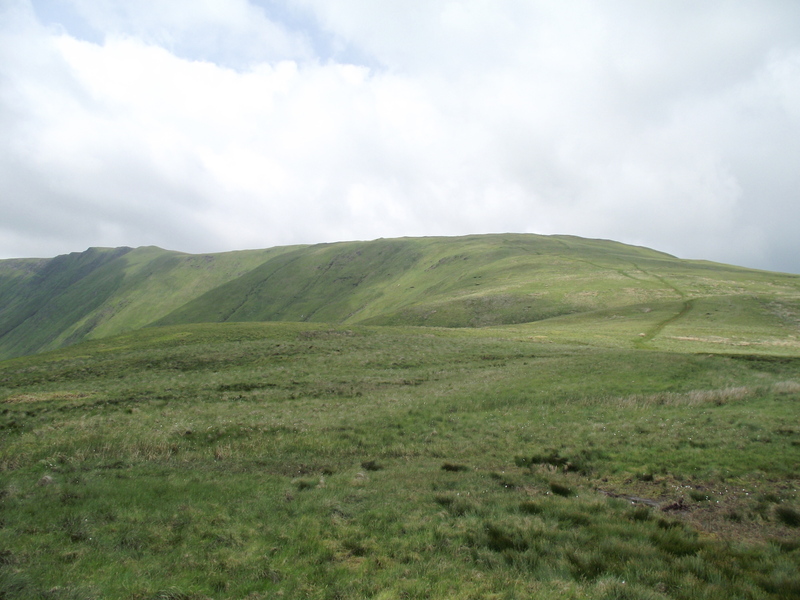 With an altitude of 905 metres, Aran Fawddwy is the 16th highest peak in Wales. 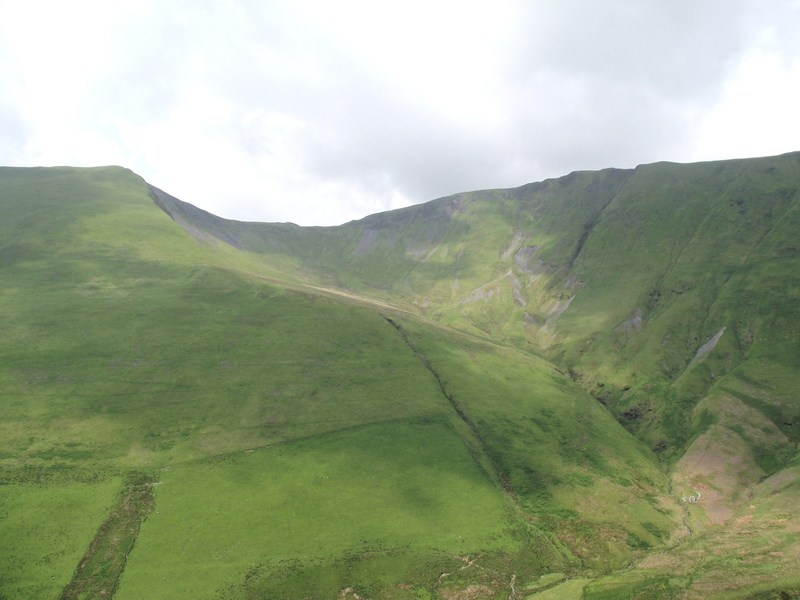 It is a mere 9 metres (30 ft) short of reaching the old yardstick of 3000 ft, which is probably a good thing for all concerned – the 15 Welsh peaks above 3000 ft can all be done in a fairly long and strenuous day, but Aran Fawddwy is more than 40kms (25 miles) from the Snowdon hills as the crow flies. 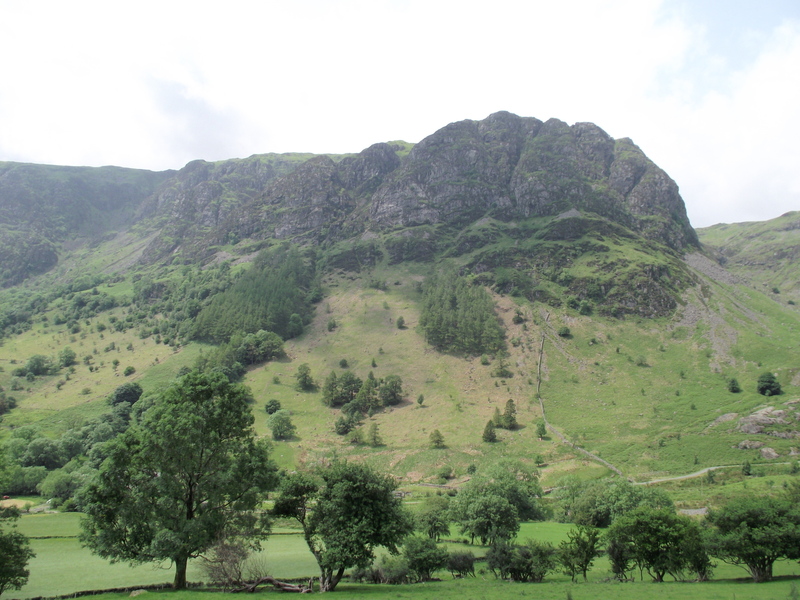 Had this peak been added to the ‘Welsh 3000’s’ it would have presented an insurmountable challenge for most ordinary mortals. The summit cleared of mist long enough for a quick photograph, before I set off down the line of the ridge heading southwest towards Glasgwm – that would have to wait for the next day though, so I turned down the valley, heading down to the hut at Bryn Hafod. 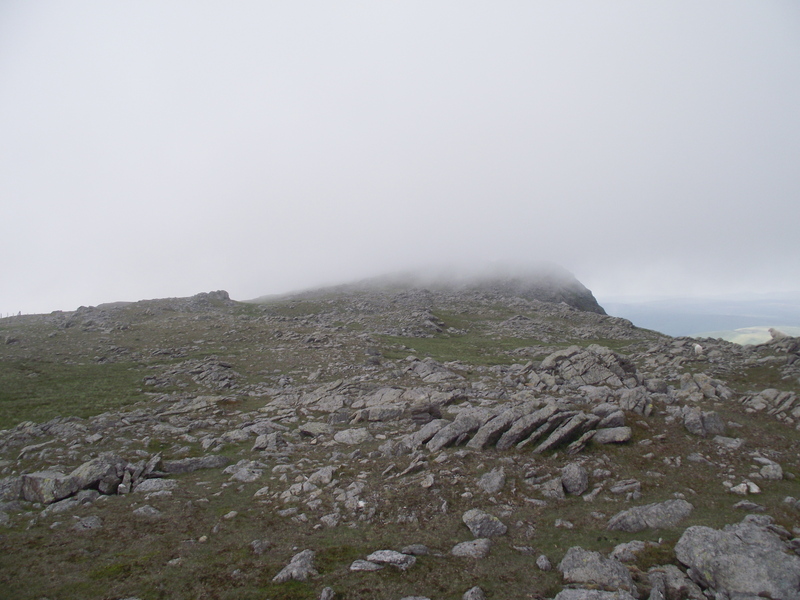 I had seen just one other person all day – yes, that missing 9 metres on Aran Fawddwy is definitely a good thing. This entry was posted in 5. 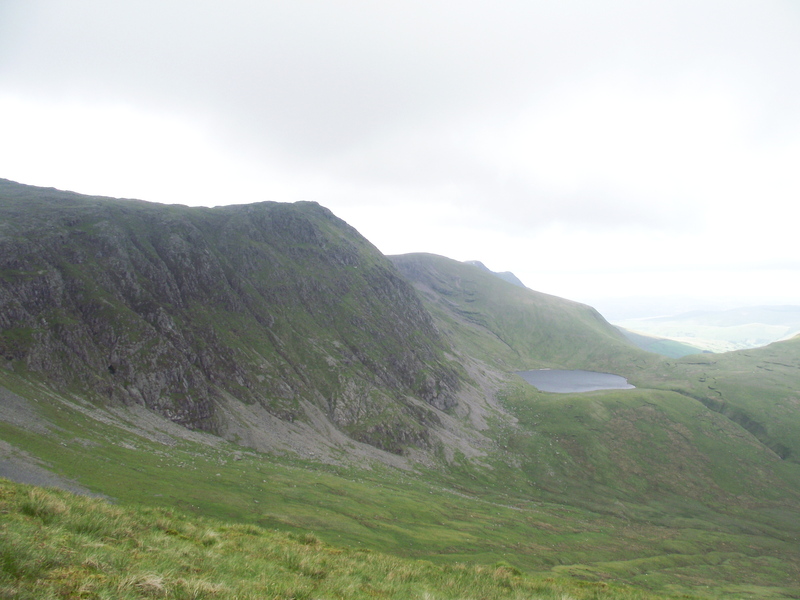 North Wales and tagged hillwalking, mountain rescue, mountains, photography, Snowdonia. Bookmark the permalink. 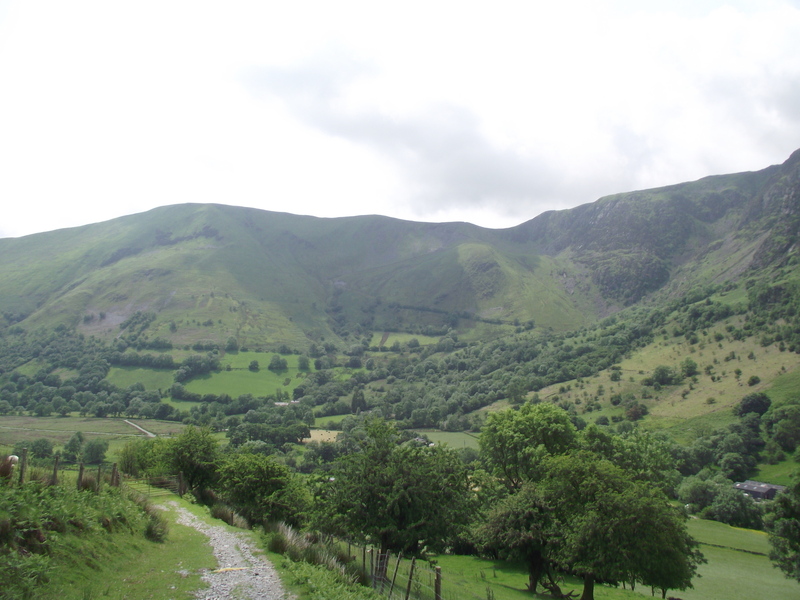 Thanks Yasmine – they are lovely quiet hills. I don’t know why I waited so long before visiting them. 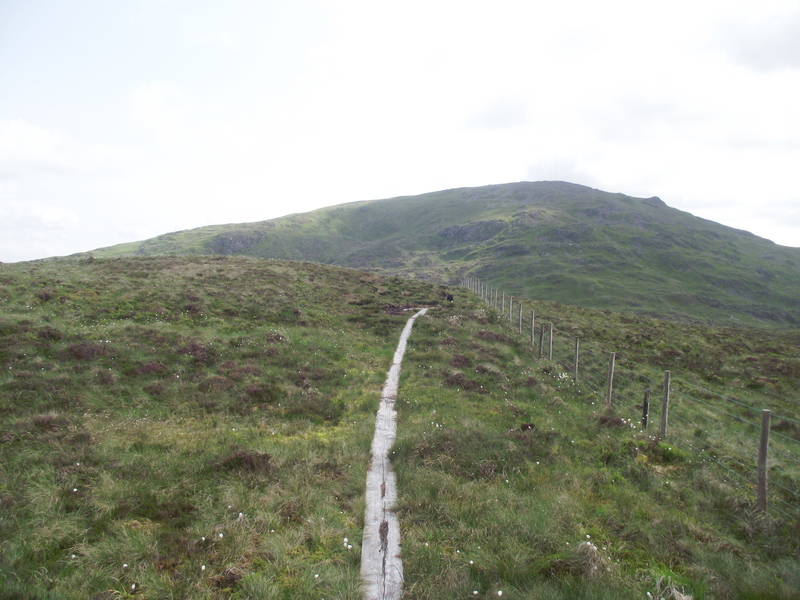 Have to confess I wasn’t certain where the Aran Hills were – I’ve just googled them! Look rather nice though! Certainly quite a tough won title! I’ve been genuinely taken aback on a number of occasions by the roads my sat nav has directed me down in Wales. I was surprised that some of them were even on the sat nav’s maps as they seemed to be just narrow tracks more than roads. How true Lance – mind you, it probably felt narrower than usual to me as I was driving our camper on this trip. 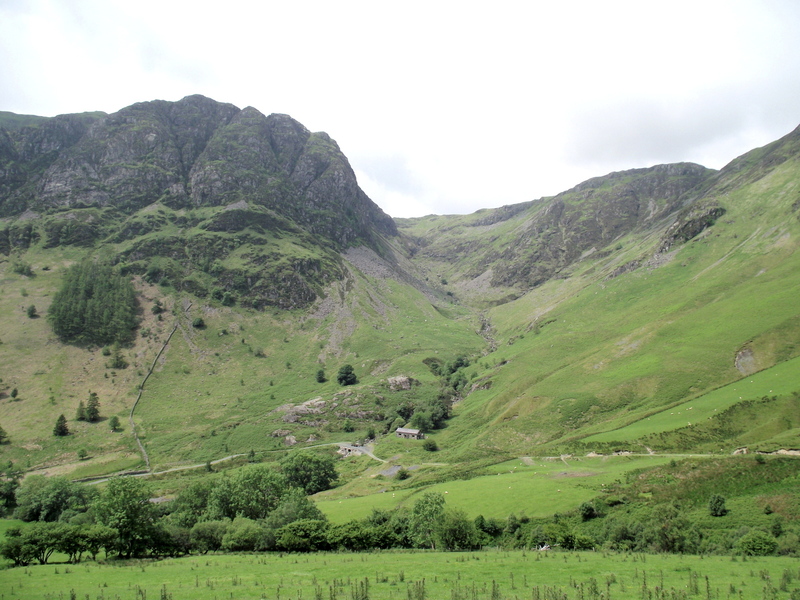 Nice post Paul – like the Arenigs nearby it’s a gem of a place that’s often missed on the way to Snowdon! Thanks Pete – I’m a convert! The next two posts will also feature the Arans. 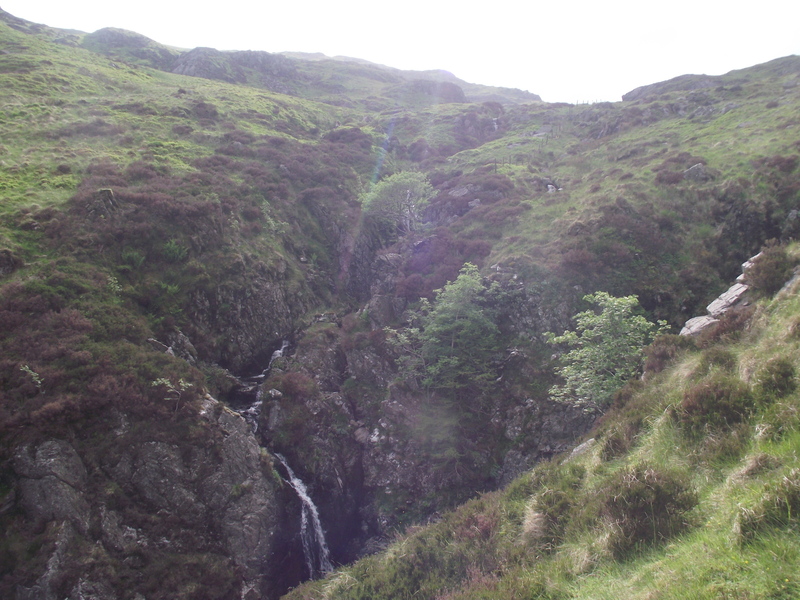 Just looks ideal Paul…sometimes the more obscure and less visited places can be the best…. 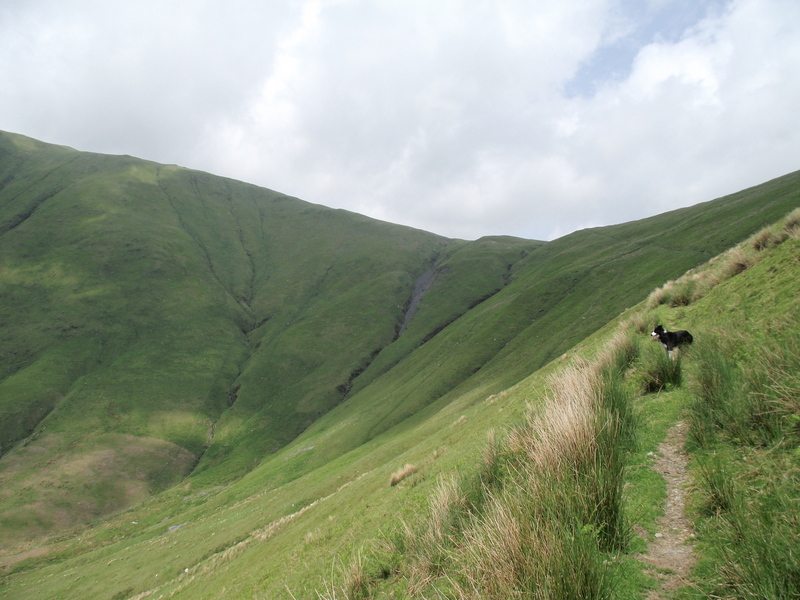 I’ve less of an excuse to ignore these hills now though, as they are only a little over an hour away by car. 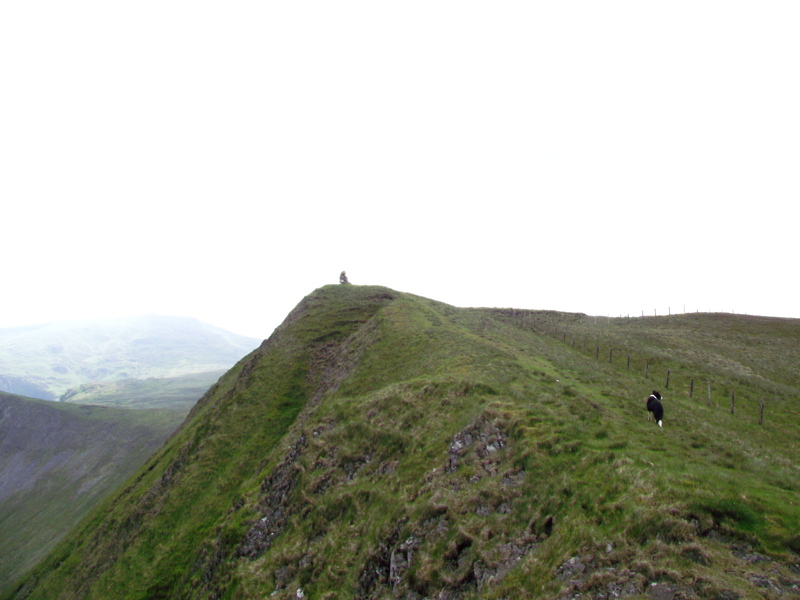 My favourite hill in Wales first visited in the early ’70s. Thank goodness it is those 29 feet short otherwise we would get the wrong sort of person fouling up this beautiful part of Wales. Superb photos by the way. 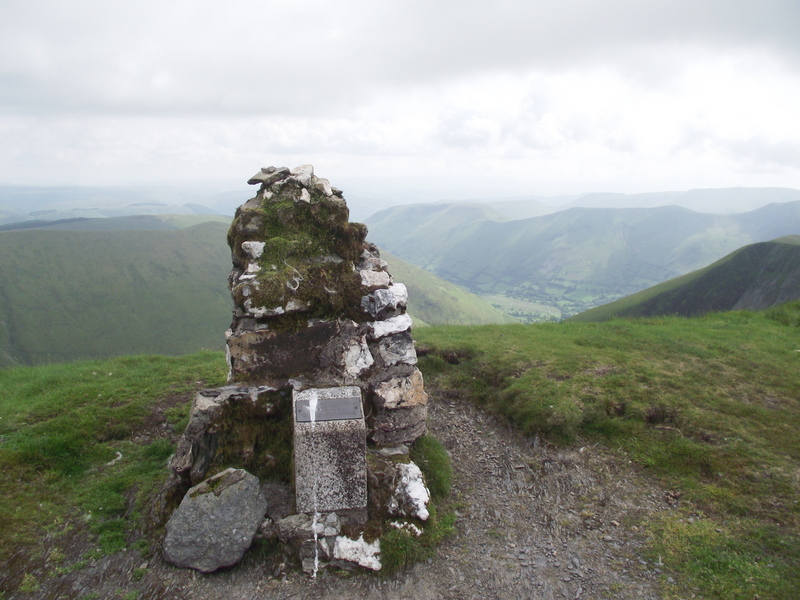 The cairn has a metal box under it with a book in which one can leave one’s thoughts etc. The entry I liked most was, ‘Norfolk has changed a lot since I was last here, Mark Thatcher (lost again. 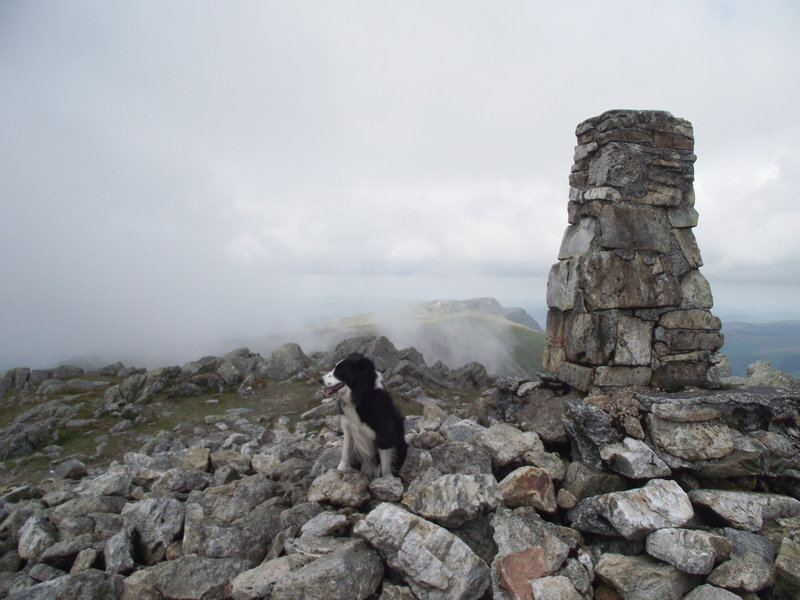 )’ By the way, take a few bob with you to leave as a donation in the box towards the RAF mountain rescue.